My children loved animals, loved exotic animals, and often wished to have such jolly friends as pets. Well, no, but still the desire was natural, harkening back to Eden. For all their problems, zoos are natural to humanity as we long for a day when we could live in peace with our fellow creatures. Humans are by power rulers of creation, but we naturally love our fellow creatures. We are animals, even if also immortal souls. As a result, we cannot just “use” animals as we do minerals. We worry about even the circus or the zoo. What to do? The circus has not found a way to survive our worries, but zoos have. They have become habitats to help our fellow animals survive the mistakes we make as conservators of this blue planet. 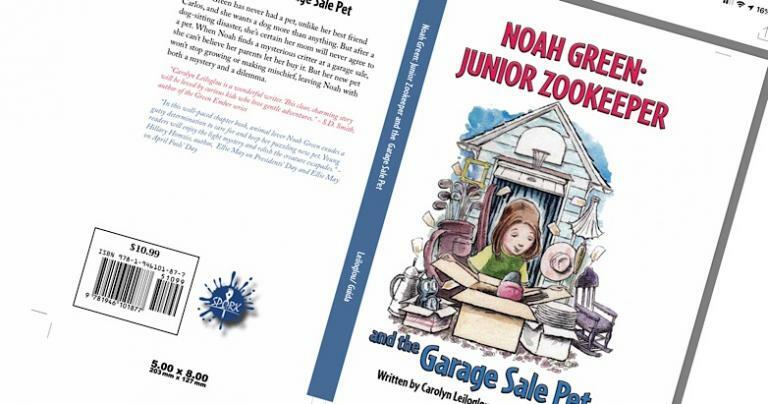 Carolyn Leilogou is creating a series about a bright girl (Noah Green! Junior Zookeeper!) who reminds me of my own sons and daughters. She is curious, even a bit more so than her parents, and eager to make animal friends. All that fit our family perfectly and I am guessing will fit your own brood of younglings!